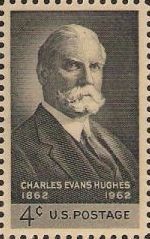 Charles Evans Hughes was an important man. He knew it. He felt like it. He acted like it. And why not? He had just resigned from the Supreme Court to run for president of the United States. 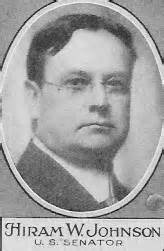 He was the Republican nominee, running against the sitting president, Democrat Woodrow Wilson. Wilson was running for reelection with the slogan “He kept us out of war” – the Great War, raging in Europe. Hughes was a lukewarm campaigner. It was not something he enjoyed, mingling with the masses. Maybe that had something to do with his unfathomable mistake. During the campaign, Hughes found himself staying in the same Long Beach, California hotel as Hiram Johnson. Johnson was a Republican political heavyweight. 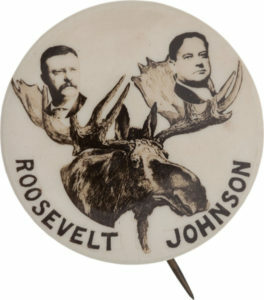 In fact, during the previous election, 1912, he had been the vice presidential candidate on the losing side – the offshoot Bull Moose Party, with Teddy Roosevelt. Johnson had no love for Woodrow Wilson. Or the Democrats. Now, he was the popular Republican governor of California. Hughes did not seek a meeting with Johnson. Instead, he decided to go to bed. Was Hughes’s campaign staff so inept that they did not know Governor Johnson was in the same hotel? Was Hughes so sure that Johnson would have to endorse him that he went to sleep? Whatever the reason, Gov. Johnson was not happy about the snub. So unhappy, in fact, was Johnson that he endorsed the Democrat, Wilson, for president. 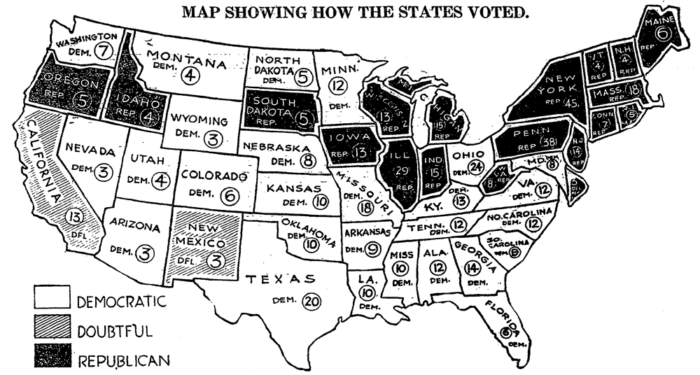 With all California’s 13 votes in the Electoral College going to Wilson, he won 277 to 254. If California’s 13 votes had gone to Hughes instead, he would have squeaked it out, 267 to Wilson’s 264. And been President Hughes. NOTE: Woodrow Wilson became the first Democrat since Andrew Jackson to be elected to a second term as president of the United States. Great story, and timely! Shows that current politicians do not have a monopoly on political ineptitude! Such loss of life! One battle! I’ve read about the trenches and how soldiers’ feet rotted in the water.